This weekend I was on the Isle of Wight and finally managed a long over-due visit with a local brand I have been following since I featured its clothing in one of my first fashion shoots about six years ago. Rapanui has won plenty of awards – including The RSPCA Good Business Award – for its surf-inspired ethical, organic, sustainable and generally eco-friendly casual clothing. I love the soft bamboo T-shirts (some are made in wind-powered factories!) and the fact that you can use a traceability chart to see how far your clothing has travelled during its production, but I also love that Rapanui has managed what so many other “eco brands” don’t seem to be able to achieve: good design. I mean, who wouldn’t wear these simple tennis shoes (a collaboration with Ethletic), especially once you know that the cotton used is organic, the rubber is FSC certified (that means it meets the highest environmental standards), AND that they’re only £39.95? 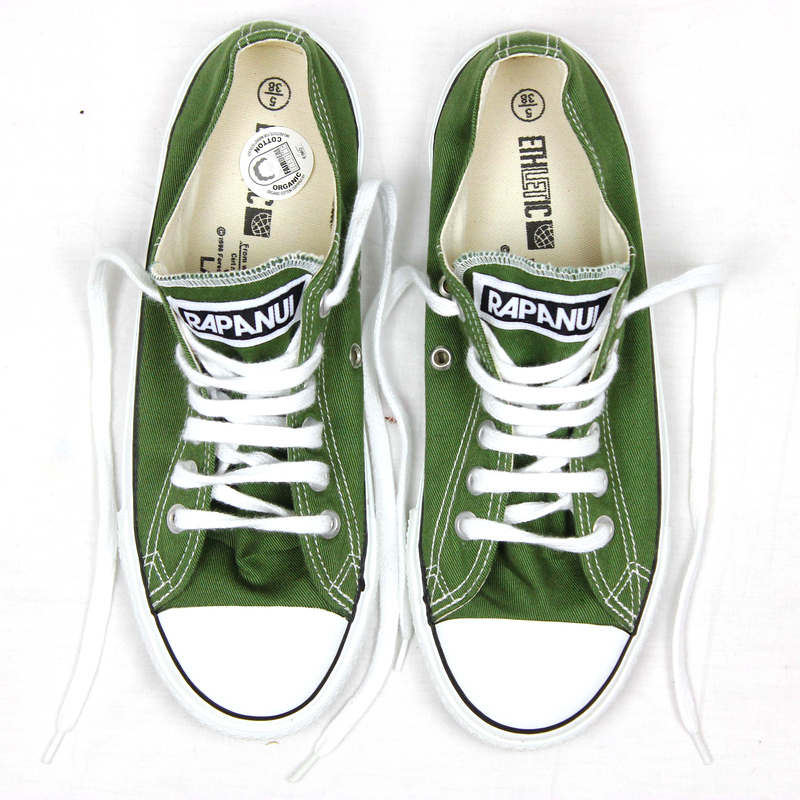 Rapanui trainers, £39.95 (rapanuiclothing.com) BUY ME HERE! This got me thinking. In my experience, if you want to buy clothing with a clear conscience, you often have to make a compromise on style. It’s all very well making vegetarian shoes out of recycled saris, but if you end up with an ugly pair of clunky clodhoppers, you’re not doing anything to promote the cause. Nor is it likely you will sell any shoes. So who else out there is making stylish flat shoes and has an eye on the environment too? 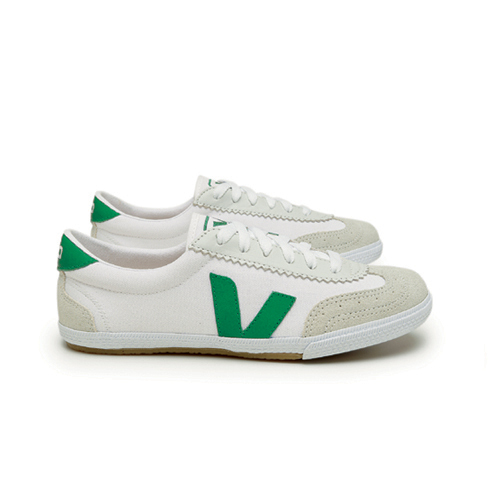 Veja sneakers, €89 (veja-store.com) BUY ME HERE! It seems that trainers are a great area to find cool designs. Veja works closely with small producers in Brazil, and uses organic cottons and Amazonian rubber to create its old-school style trainers (these ones remind me of classic Dunlops). The brand also promotes eco-farming and campaigns against deforestation, as well as supporting social projects in its native France. Melissa T-bars, £45 at ASOS.com BUY ME HERE! Rubber is also a good bet when it comes to sustainable footwear. You’ll probably be familiar with Melissa for its collaborations with Vivienne Westwood and the large concession in Topshop, but did you know that this brand ticks the eco box too? These cute shoes are made from 100% recycled rubber. They’re good enough to wear on the catwalk as well; the entire Clements Ribeiro SS13 collection was styled with Melissa’s rubber jelly shoes. Speaking of the catwalk, Stella McCartney is an eco-warrior when it comes to luxury shoes. As a famously strict vegetarian, she doesn’t even use any leather in her designs, let alone any fur. It’s a refreshing outlook in an industry where many coo over cute pint-sized dogs while quite happily wearing a beaver as a pointless pom-pom on a hat. (No, I’m not a fur lover. How did you guess?! Though as a meat-eater, I have no qualms about wearing leather) I love these desert boots, made from canvas and rubber. Jane desert boots, £295, by Stella McCartney at Matches (matchesfashion.com) BUY ME HERE! Finally, I can’t talk about ethical shoes and not give TOMS a mention. This brand has been championing its ‘One For One Movement’ (for every pair of shoes bought, they donate a pair to a child who needs them to protect their feet from cuts and infections, or to attend school) since 2006, when founder Blake Mycoskie visited Argentina. He was not only inspired to help the children living in extreme poverty, but by the traditional Argentine alpargata shoe, which is what he recreated as the TOMS shoe you see on the feet of so many people today. It’s such a success, and no wonder; the design is simple and unisex (and therefore good), and is available in SO many different colours that there’s something for everyone. My current favourites are these in a floral print. TOMS slip ons, £40 (toms.co.uk) BUY ME HERE! Thank you for this extremely brilliant blog! We really appreciate your blog post. The leading marketplace for ethical products and lifestyle, all products are ethically sourced and manufactured ready to buy under one roof. Visit us to know more. 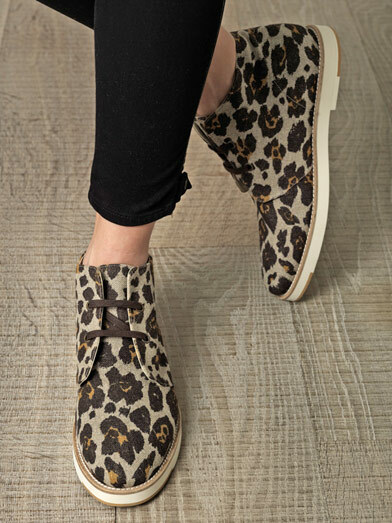 I’ve always loved shoes that are as comfortable to wear as combat boots, and I just know the TOMS slip-on would feel as good on the feet.